Buy Diazepam In Uk Next Day Delivery Video Documentation jul 30, 2012 – nov 11, 2014 from the ICI Berlin conference now online. http://charlotteskitchendiary.com/tag/montenegro/ Published on the occasion of The Psychopathologies of Cognitive Capitalism: Part Two at ICI Berlin, this book collects the papers that were presented during the first part of the conference in Los Angeles in November 2012. 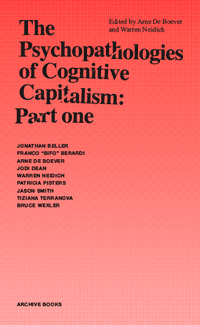 This volume is the first of a series of books that attempts to broaden the definition of cognitive capitalism in terms of the scope of its material relations especially as it relates to the conditions of mind and brain in our new world of advanced telecommunication, data mining and social relations. It is our hope to first improve awareness of its most repressive characteristics and secondly to produce an arsenal of discursive practices with which to combat it.